Our strength comes from the great flexibility and experience in the design and manufacture of systems for the temperature control of special processes (water up to 180°C, oil up to 320°C). Machines that are easy to use in all applications within the industrial sector where standard systems are not sufficient to guarantee performance and high level results. The multi-zone versions are designed to be perfectly integrated in the production lines, to minimize the installation activity (hydraulic and electric) and the time of installation. Available in vertical, horizontal, multi-level version, etc. Regarding to energy saving technologies, we design for large industries that have central heating, temperature control systems that use steam, hot water or oil as a heat source. 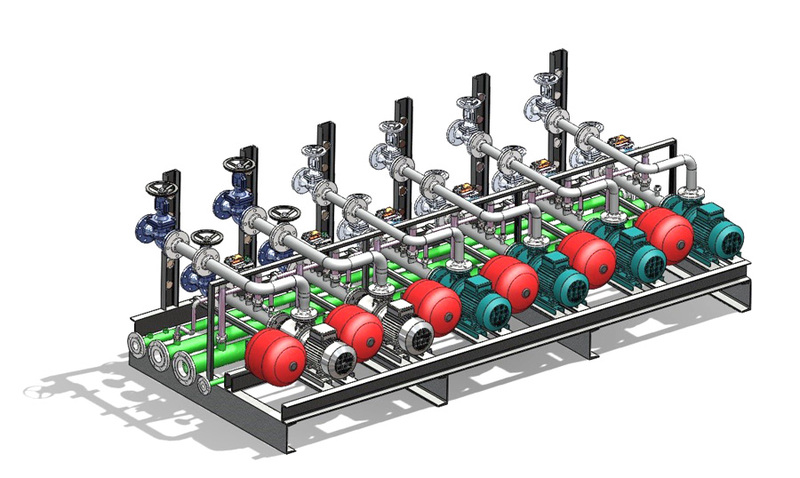 Systems designed to manage, in a precise and dynamic way, any industrial process. Available in standard or multi-zone. 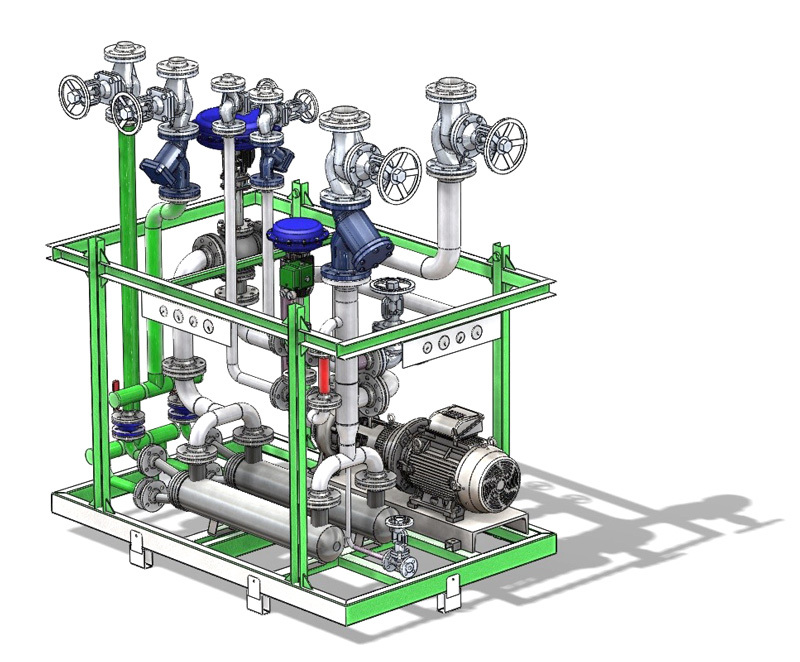 Hybrid systems with conventional heating and steam/oil. Flow regulators and magnetic grids, as our entire product range, are adapted to customer needs and developed on request with different sizes and options. Magnetic grids with multi-phase shift for better filtration. 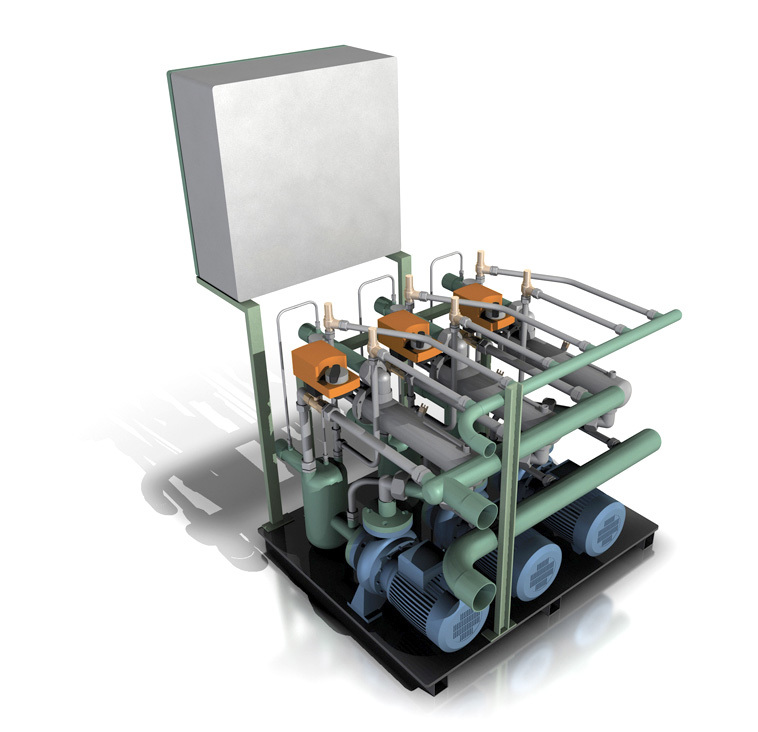 The open-skid systems are primarily intended for installations in the chemical sector. Having considerable dimensions, these units are developed to have a minimization of the components and an easy accessibility for maintenance. Special versions in full stainless steel.